A basic school teacher of Goriyiri In Nadowli-Kaleo has been accused of Defilement by parents of an 11 years old girl who attends Nadowli R/C Primary School and is in class 4. She was reported to have been lured through energy drinks purchased for the girl by the Teacher only identified James Ziemah from Daffiamah Kunzokalaa. 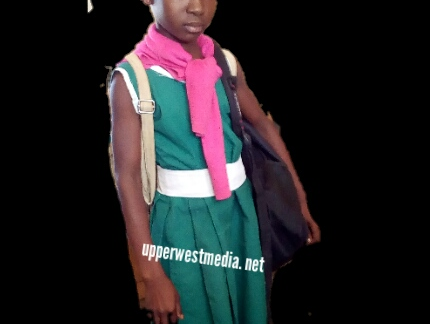 According to sources in Nadowli, the girl was hosted in the teacher’s room and due to her long absence from home after school her parents were alarmed by that strange attitude of their daughter and it took vigilant residents of Nadowli Town to trace the girl to the Teacher’s house. The teacher, Ziemah who is married with Kids after the act was alarmed and had to go into hiding for several days but was later lured from hiding and arrested. He was sent to Nadowli Police Station and the girl also sent to the Nadowli hospital for medical care as she couldn’t walk normally. November 30, 2018 in Local News. Very poor write up. Porous grammar in fact very annoying.